This past year I decided to take art classes for fun at the university I teach at. I'll admit I was a little naive with how time consuming it would be to be taking college level art classes, but I loved all the classes I took. 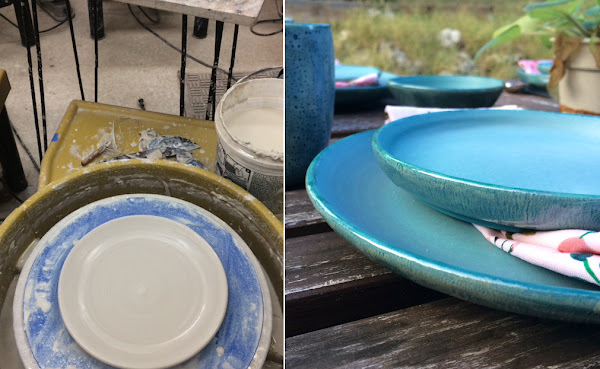 Last spring I took a handbuilding clay class and a watercolor class. In the fall I took a wheel throwing class. I fell completely in love with clay and spent most of my free time in the studio. 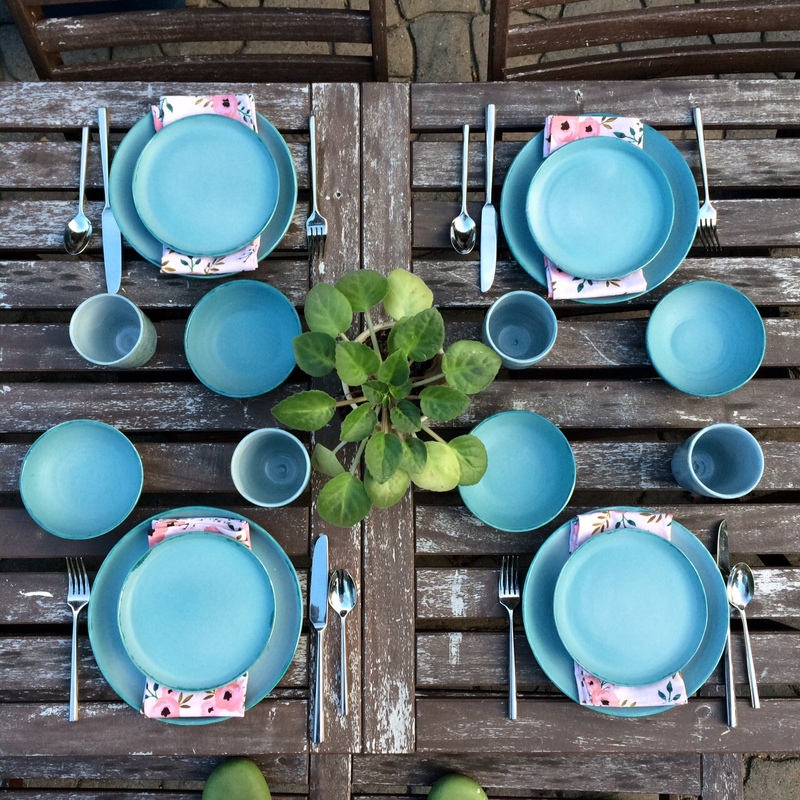 Our final project was to create a placesetting for at least four people with a minimum of 12 pieces. 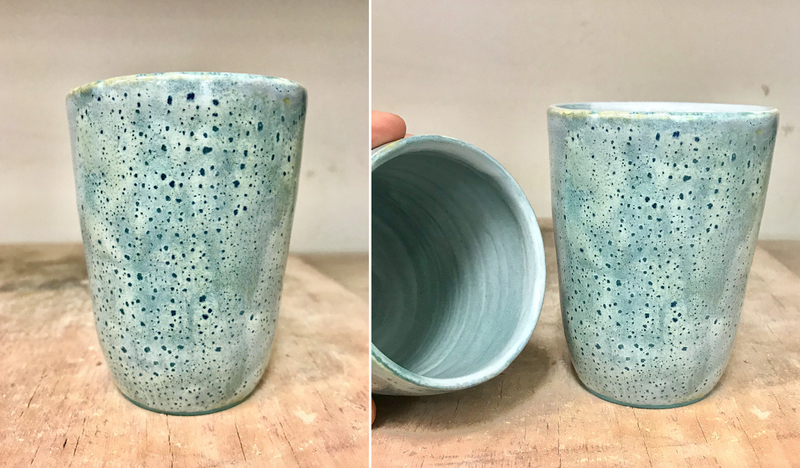 This was an incredibly challenging project for students new to throwing. Plates are a challenge to beginners as well as centering larger weights of clay. Hi, I'm alive! I disappeared when things got busy. I decided to take classes at the university I teach at (amazing opportunity to take classes for free!) and mistakenly took two classes in the spring semester. I took Clay I, a handbuilding class, and Watercolor I. I had so much fun, but I was in the clay studio all the time. I'll share some things I made soon. I'm off this summer (YAY!). I spent almost four weeks in the UK at the beginning of the summer. Two & a half were spent as a faculty chaperone on a UK study abroad trip. The last week Eric flew over and we had a vacation in Ireland. Now I'm back working on house projects and such. 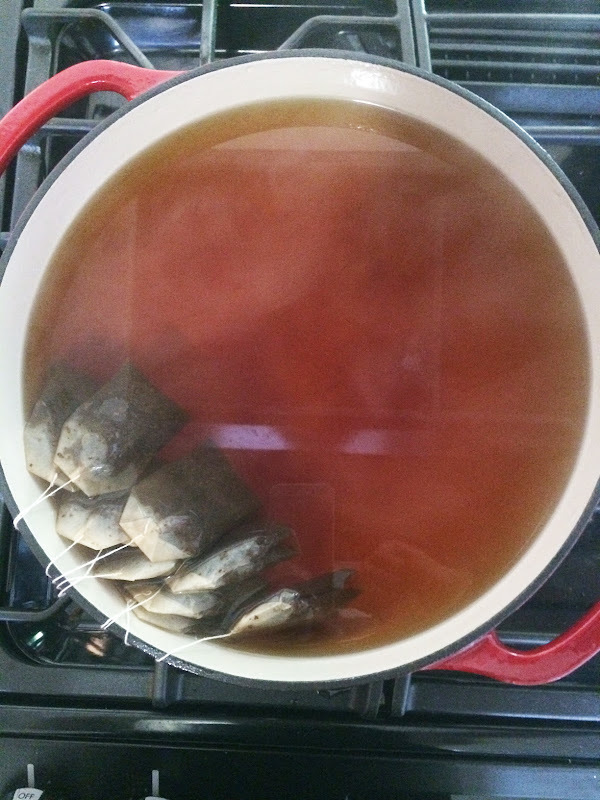 One of my first projects when I got back: brewing kombucha. 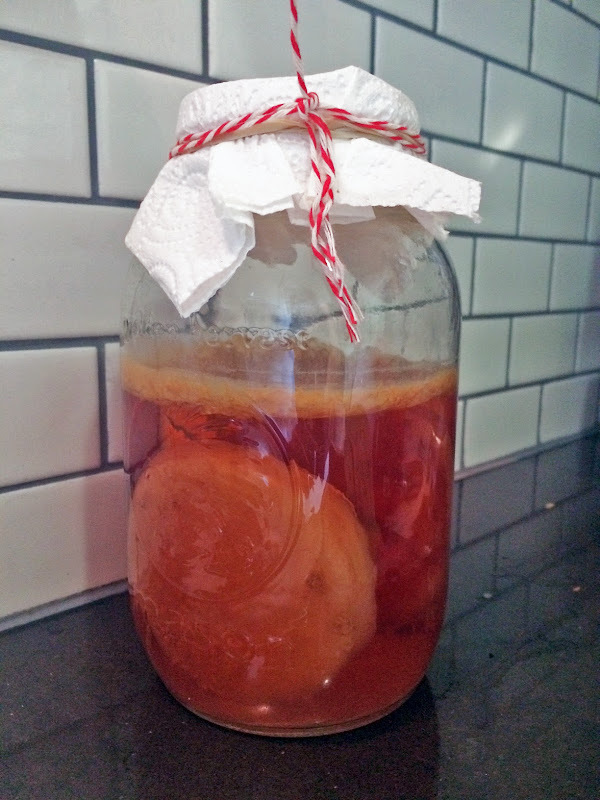 I brewed kombucha once before, but it only turned out alright. I grew my own scobies recently and decided to give kombucha brewing one more shot. Oh my gosh. I'm so glad I did! This batch turned out fabulous. A great sweet/sour balance and I got bubbles! Woo! I added fresh strawberries when I bottled the batch and dropped in a raisin or two in each mason jar. The raisin is supposed to help with the carbonation. I followed the kombucha recipe here . Happy Birthday Eric! 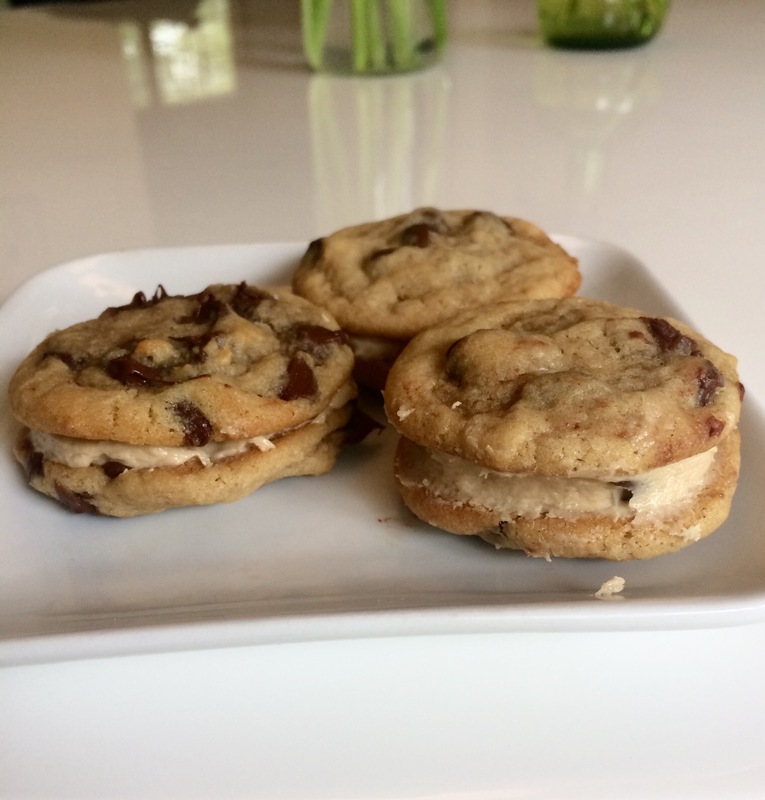 I made these chocolate chip cookie dough sandwiches. OMG. omg. 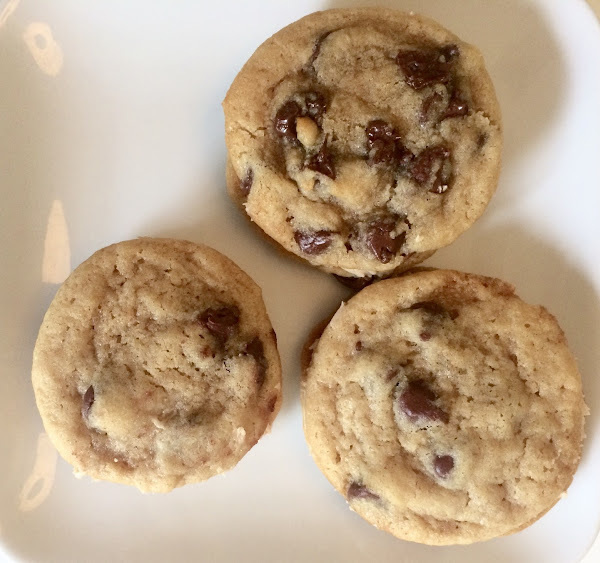 Soft chocolate chip cookies with a cookie dough filling to go in the middle. I will be making these again. My mother-in-law made these for my birthday this year and OMG they are the best. 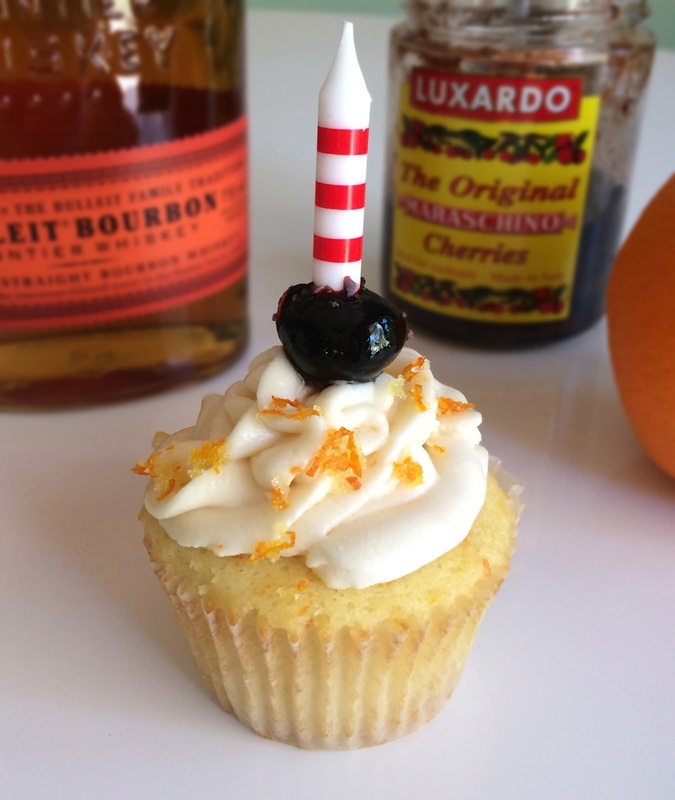 The recipe is a whiskey soaked orange cupcake and orange buttercream. 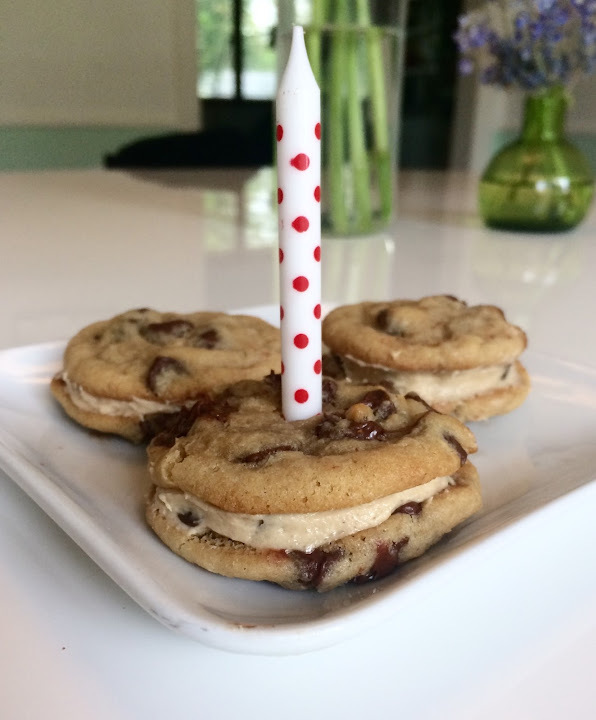 When a friend of mine's birthday rolled around, I decided to make them for her. I used this recipe. Happy Friday! This is an extra good one for me. Tomorrow marks the end of a Whole30 for me & Eric. (Whole30 = 30 days of no grains, dairy, legumes, sugar, alcohol, or soy.) I started feeling great at least half way through - way more energy than normal, no afternoon slump, better moods, better sleep, the list goes on. I'm so happy we did it. The month was far easier than I had anticipated. There's quite a bit of food prep and a TON of dishes, but otherwise it's not that hard. We ate really good food the entire month and will keep many of our favorite meals from this month in rotation. The food is really satisfying - no big surprise that real food would make you full and content. We broke some sort of record with how many avocados, eggs and sweet potatoes we ate this month. Your sweet tooth fades when you eat this like, but this last week I have been daydreaming of pancakes and cinnamon rolls. 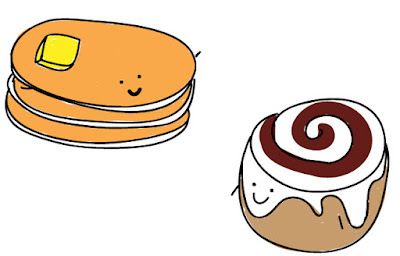 There are pancakes in my future this weekend. And wine. Hi blog. Let's just pretend I didn't abandon you for several months. Our first full fledged gardening attempt was a success this year. We planted potatoes, flowers, herbs, snap peas, cucumbers, zucchini, tomatoes, and peppers. We hardly had to do anything thanks to so much rain. My dad helped us put in a rain barrel (and gutters). 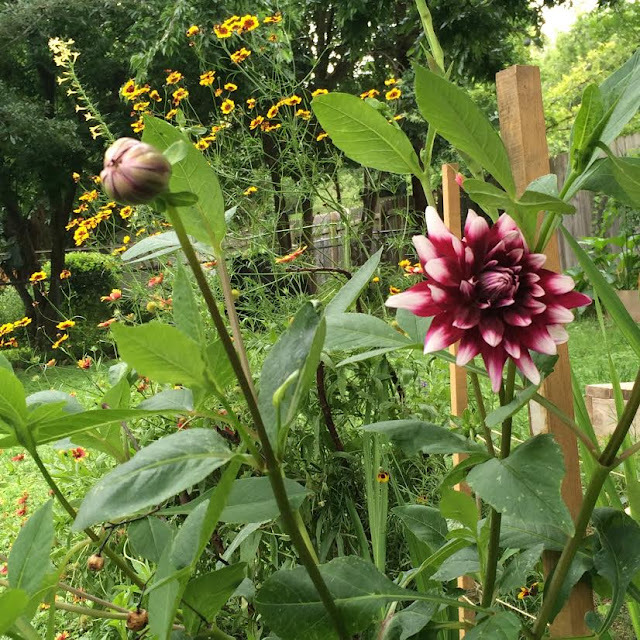 I only had to water the garden beds twice by faucet in a four month span (!!). I was so happy. 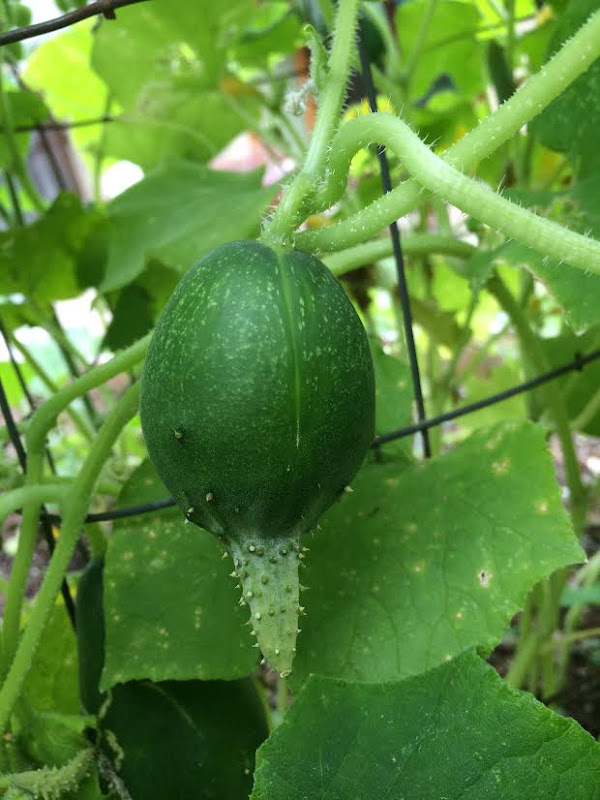 We got a lot of produce out of our three beds for a few months, but everything started to shrivel up by the beginning of August. We had a lot of rain sometime during the month though and we're back with at least a few things growing again. Sweet potatoes, cucumbers, peppers, eggplant, leeks, and plenty of herbs. My favorite thing growing might actually be the lemongrass. My mother-in-law gave me a piece of lemongrass that rooted, we planted it, and this thing has thrived! It's huge! I'm so stoked to walk outside and get fresh herbs and in particular ones that aren't always available (and are pricy). We planted dahlia bulbs in February, not really knowing how well they'd grow in Austin, but for months we had tons of flowers. They're so beautiful. Being able to cut fresh flowers from your backyard is on my top ten list of things that make me happiest. At one point the bushes were producing so many flowers that I started making bouquets for friends. Here are eggplants growing in our garden right now. 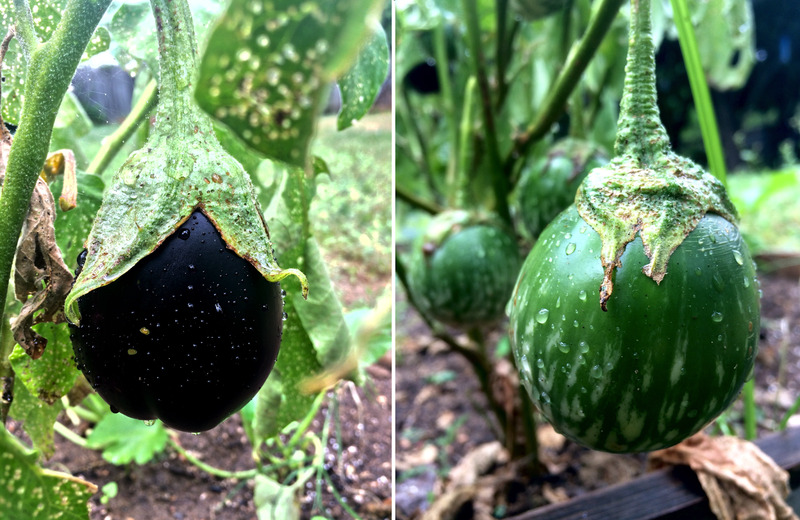 This is my first time ever growing eggplant. I remember my mom growing it when I was little and I was so weirded out by the name. I hated eggs back then, so clearly eggplant was very sketchy.